Camera Info: Canon 1D Mark II with 500mm f/4 lens, 1/1250 sec at f/8, ISO 400, fill flash at -1.7 eV, tripod, crop. 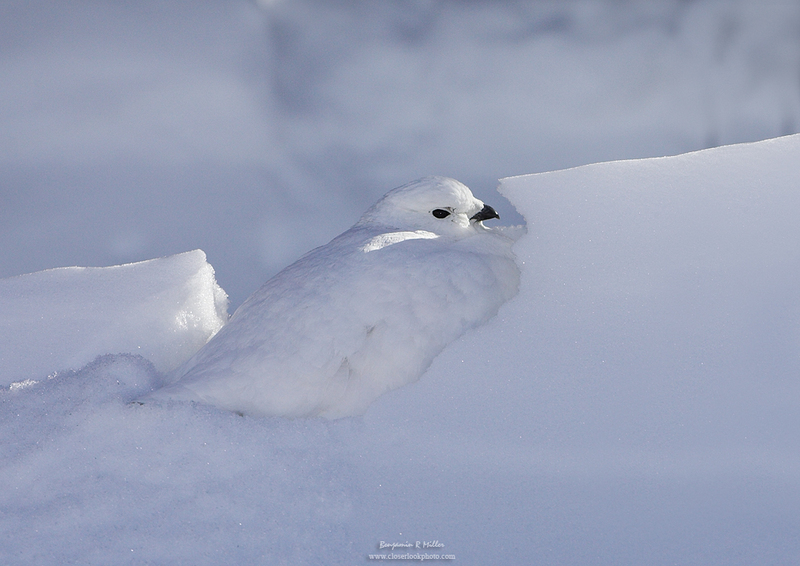 Field Notes: Blending into the snow bank, only the black eye and beak of the ptarmigan gives its presence away. Despite frigid temperatures, bitter winds and the meager food selection of the winter alpine environment, this bird toughs it out where few other creatures can survive.